Foreclosed and distressed properties are a good real estate investment because their price is usually significantly below market value. When the owner of such a property defaults on their mortgage payments, the property goes into foreclosure and the bank or debt collector starts the selling process in order to collect the mortgage payment. 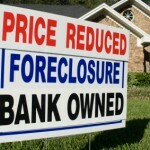 One third of all the homes sold between 2008 and 2011 were foreclosed and distressed. These properties are listed for prices 40-60% off their initial market value, and are a good deal for real estate investors. However, the possibility of making a profit with these properties will attract a lot of investors, so you will most likely have to win a bidding war before you can purchase a distressed or foreclosed property. Another issue that you may encounter is that foreclosed and distressed properties will usually need to be repaired before they are resold. Here are the top 10 tips for investing in distressed and foreclosed properties. 1. Get pre-qualified for a loan. Unless you have enough cash to buy a property, you will need to take out a loan. Lenders will only consider serious offers, and you might not be able to bid on a property if you are not pre-qualified for a loan. However, if the home is too damaged, lenders might refuse to give you the loan, which means that you will have to take out another loan for repairs, or invest some of your own cash. 2. Research the area. Buying a nice home in a bad neighborhood is not a great idea. If the surrounding properties are in bad shape, they will most likely drive down the value of your investment. On the other hand, buying a damaged home in an upscale neighborhood will bring up the value of your investment. Renovating the home will also increase its value. 3. Have a professional home inspection. Foreclosed and distressed homes are sold “as-is”, making a professional home inspection a very important part of buying a property. Once the sale contract is signed, you will be responsible for any damage that the home might have. Besides giving you a clear picture of what shape the home is in, the professional inspection will also give you an estimate of how much it will cost you to renovate. 4. Be ready to make some repairs. Many times, when previous owners are evicted, they do intentional damage to the property. After the housing market crashed a few years ago, many people left their homes in a deplorable state, while others even stole kitchen appliances or light fixtures. Another thing that can happen to a home if the previous owners have been evicted is that it can become an easy target for vandalism. 5. Advertise. In order to find good deals on properties that are facing foreclosure, you need to advertise to their owners. A good idea would be to use bandit signs in areas with a high foreclosure rate. Another thing you can do is post classified ads in local newspapers, or on local websites. This way, you will find desperate sellers, and not be restricted to bidding on properties that your competition will also be bidding on. 6. Buy from people who are forced to sell. Buying from a seller who is only thinking of selling won’t guarantee a good deal. But buying from someone who is forced to sell because they are facing foreclosure or have other issues will most likely get you a good price. 7. Be careful when making estimates. Especially if you plan on remodeling or renovating a home before reselling it, be very careful when estimating how much money you will have to invest in the repairs and improvements. A small mistake when estimating these costs can become very expensive for you, and you might end up with a home that is hard to sell. 8. Contact lenders directly. Not every foreclosed or distressed property will be listed publicly, and some may be outdated. By contacting lenders directly and finding out if there are any foreclosed homes in the area, you could even find properties that are not yet listed, which gives you the advantage of being the first one to negotiate their price. 9. Make serious offers. While lenders and owners are in a position where they want to sell the distressed property as quickly as possible, making an offer that is too low won’t work. The home’s price will most likely be based on other sales for similar properties in the same area, so researching other sales should give you a good idea of how much you should offer. 10. Know the law. Many states have laws regarding foreclosure, made to help the home owner. In some states it takes up to 12 months for the foreclosure process to end, so make sure you know the laws before you make a purchase and find that you have to wait months before actually getting possession of the property. When investing in foreclosed and distressed properties it is important to act fast, know what you want and, most importantly, have knowledge of the foreclosure process. Arming yourself with these top 10 tips will increase your chances of making a good investment, whether you are just starting out or you are a seasoned investor.